Byblos Cafe & Lounge, TREC KL. - MisTan IzZy | Travel & Lifestyle. Byblos Cafe & Lounge, TREC KL. 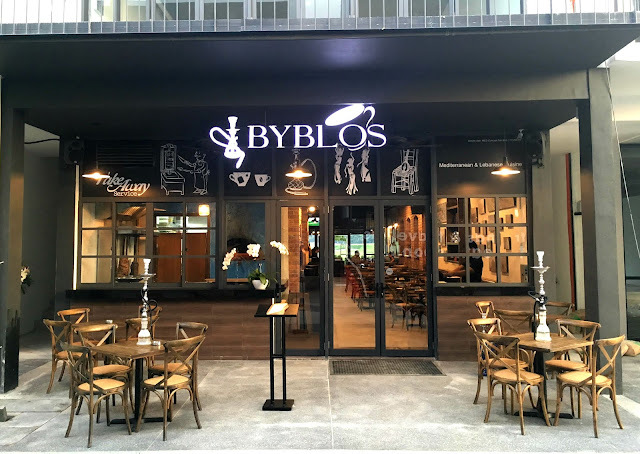 Byblos Cafe & Lounge, which has a very contemporary interior design, is a new Mediterranean /Lebanese concept in Kuala Lumpur that aims to put a new spin on Lebanese cuisine. Byblos is the name of the most ancient city in Lebanon, and by all possibilities, the world. It is a city steeped in history, and its origins can be traced as far back as 7000 to 8000 BCE. 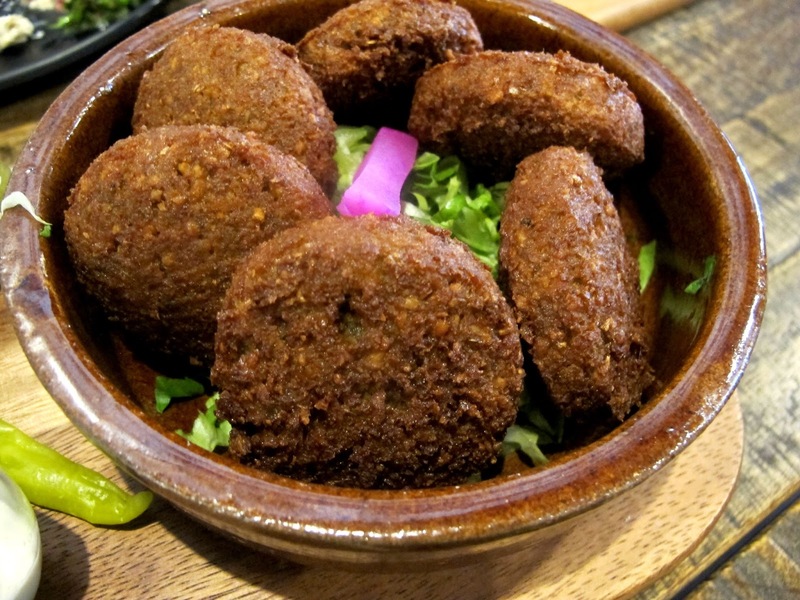 How many of us actually know or seen about Mediterranean/Lebanese cuisines before? Well, at least not for me. 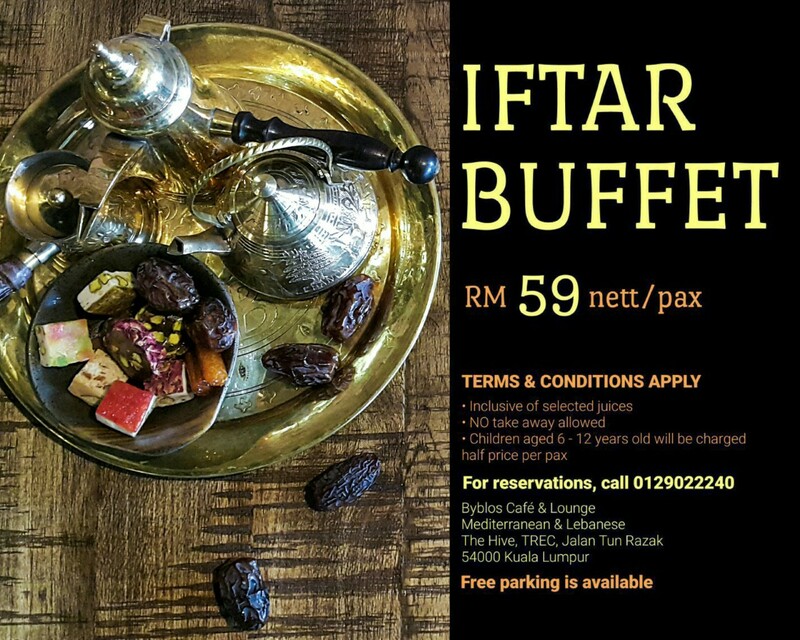 Byblos is located at TREC, The Hive, which is the same location with Zouk KL as well as Le Noir KL, and they have both indoor and outdoor seating. I personally like the outdoor seating because its next to a garden, it could be relaxing if you're chilling at night, perhaps with Shisha/Hookah or a little chit chat with friends. 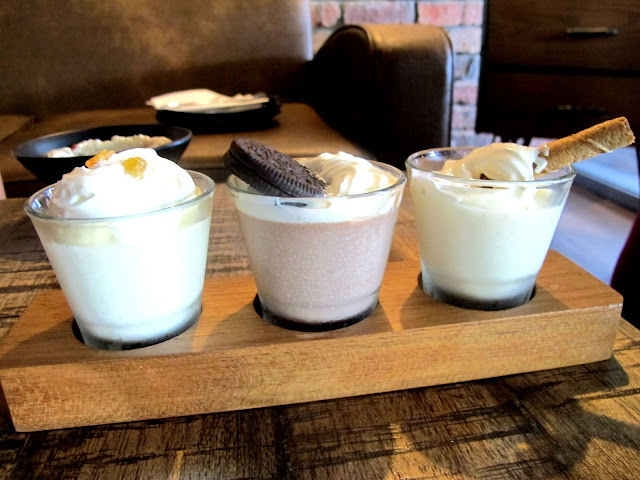 Even though with such an innovative setting that makes it looks like a very expensive restaurant, but when I run through the menu, the food & drinks are priced at a reasonable and affordable standard. If you are new to Lebanese cuisine, it could be a little hard to understand the menu especially the food names. They have several variety of food, such as cold to hot appetizer, mixed grill to raw meat and many other Mediterranean and Lebanese food. 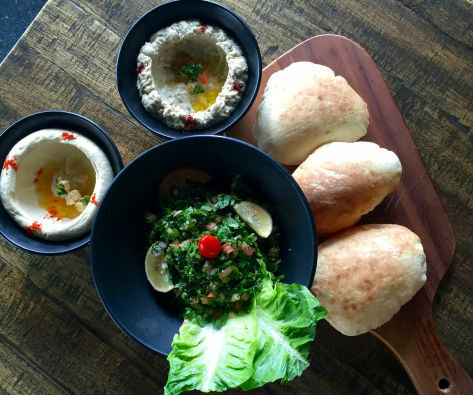 The menu contains of traditional favourites such as Hummus, Moutabal, and Tabbouleh, honed and perfected from over two decades of cooking and made all the more distinctive through the use of the freshest organic ingredients. 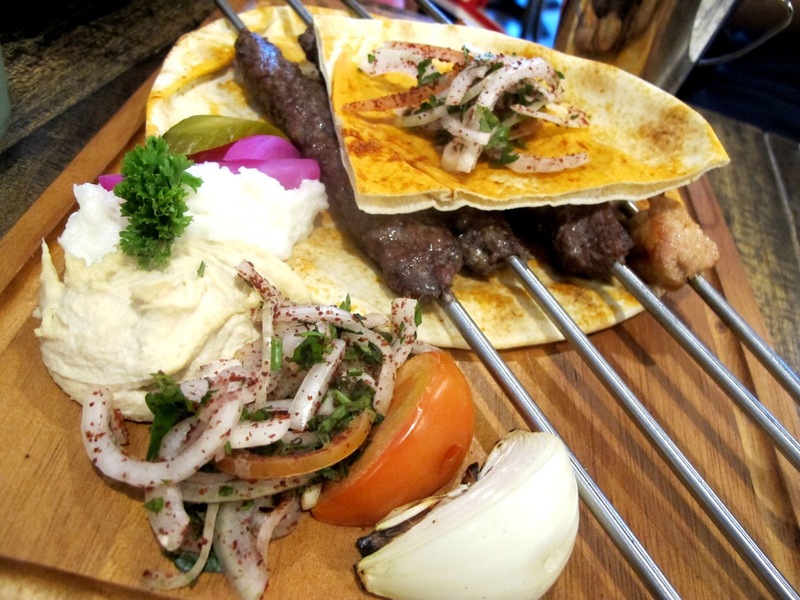 Other items on the menu include Shawarma, Falafel, oriented lamb hot breads and desserts, all of which are homemade and prepared fresh daily. They serve drinks from soft drinks, juices and coffee, as well as alcohol beverages! Out of so many selections, let me share with you what I had for the lunch. Left : Moutabal (RM13) - Minced eggplant mixed with tahini paste and lemon juice, topped with olive oil. Right : Hummus (RM13) - Mashed chickpeas mixed with tahini or lemon juice, topped with olive oil. Tabbouleh (RM25) - Fresh parsley, tomatoes, onions and burgul wheat topped with lemon, olive oil and spices. Tabbouleh is a salad that served together with Hummus and Moutabal. Falafel (To go - RM9, To Dine in - RM12) - Deep-fried minced fava beans and chickpeas, served with tahini sauce and condiments. This is like a must-try! Be sure to take it together with the tahini sauce. 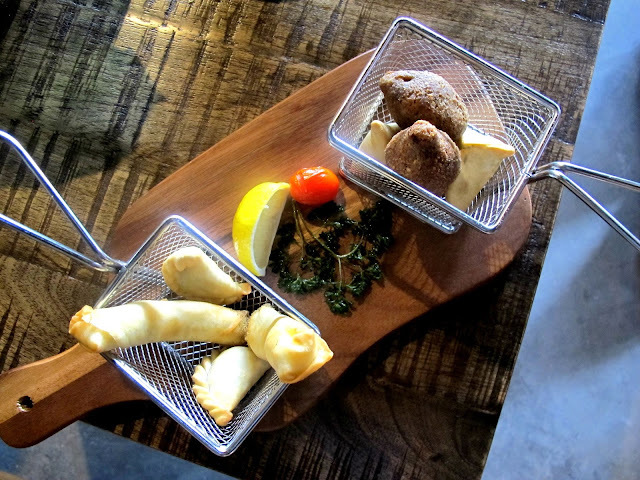 Mixed Pastries (RM24) - Assortment of cheese rolls, kebbe kras, sambousik and spinach fatayer. 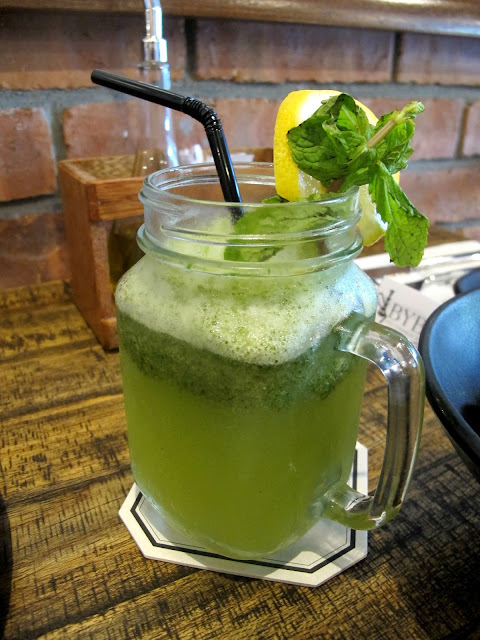 Homemade Mint Lemonade (RM16) - Byblos signature fruit juice. Bintang Revolving Restaurant, Federal Hotel KL. Carbon Laser at Premier Clinic, TTDI. Sae Ma Eul, Solaris Mont Kiara.